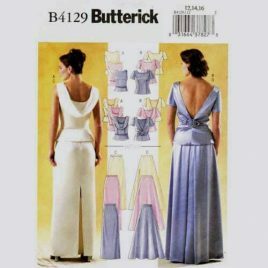 Butterick 4556 Plus Size top sewing pattern sizes 18W – 24W. 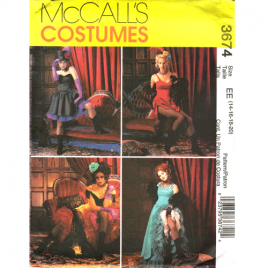 Women’s plus size 18W – 24W pattern for moderate stretch knits. Uncut and factory folded. 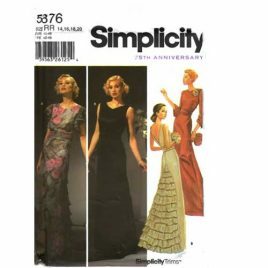 Simplicity 5876 floor length evening gown with ruffled back in sizes 14-20.